Among all the wedding buzz and planning some- times couples can forget some of the most minor (but important!) details like their ketubah. Our Ketubah Pitfalls e-book is a compilation of assorted tidbits and cautions that can be easily forgotten or overlooked. Let this be a sort of cheat sheet when navigating through the path of designing, purchasing and signing your ketubah!. 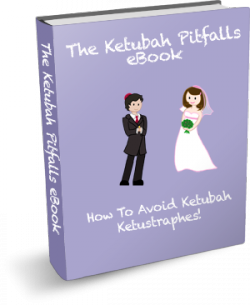 Download Our Ketubah Pitfalls eBook, Free!